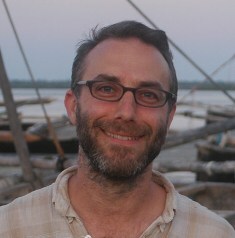 Jeffrey Fleisher is Assistant Professor with the Department of Anthropology at Rice University, and holds his degrees from the University of Virginia. His areas of specialization are the archaeology of Tanzania, Eastern and Southern Africa, and the Indian Ocean Rim, and he is interested in Old World archaeology, African archaeology and ethnography, political economy, landscape and regional archaeology, urbanization, household studies, ceramics, urban space, materiality of ritual, and social memory. He has done extensive fieldwork in Tanzania, and has been Director of Rice University's Field School at Songo Mnara. He has several volumes being prepared for publication, including Viewing Stonetowns from the Countryside: An Archaeological Approach to Swahili Polities (BAR, Cambridge Monographs in African Archaeology) and The Archaeology of Fear, Anxiety, and Ritual (ed., with Neil Norman).